NASHVILLE, Tenn. — Japan’s fleet of AH-64DJP Apache attack helicopters will soon have improved vision, having finalized a deal with Lockheed Martin to upgrade the Modernized Target Acquisition Designation Sight/Pilot Night Vision Sensor, or M-TADS/PNVS, known as "the eyes" of the aircraft. Lockheed will provide 14 Modernized Day Sensor Assembly, or M-DSA, kits through 2020 to upgrade Japan’s M-TADS systems, the company said Wednesday. The M-DSA "improves laser reliability and the Apache’s ability to designate targets and establish accurate target range," according to a company statement. The contract also includes Performance-Based Logistics support for three years. Lockheed will also upgrade Japan Ground Self-Defense Force test equipment and train pilots in country. 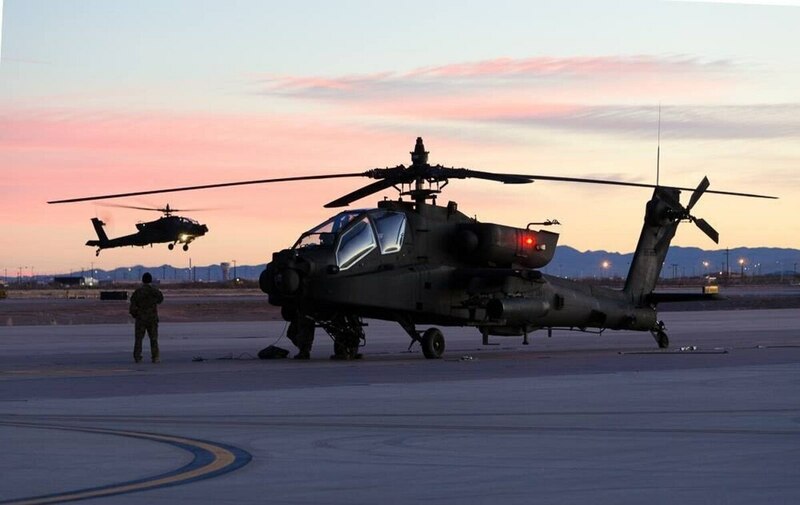 The Army received M-DSA upgrades to its Apache fleet in a $54.3 million deal with Lockheed Martin early last year. The upgrade allows pilots in the cockpit to see what the sensor sees in color. That same deal also furnished kits to the Qatar Emiri Air Force. According to the company, it has delivered more than 1,350 M-TADS/PNVS systems and spares to the U.S. Army and other countries, including more than a dozen to Japan. Japan is the first customer to receive M-DSA kits for in-country installation. Deliveries will start next year and the upgrade kits will be installed by employees of Nippon Electric Company in Japan, according to Lockheed.